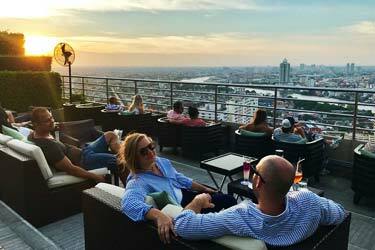 Complete guide to the 5 best rooftop bars in Valencia in 2019. 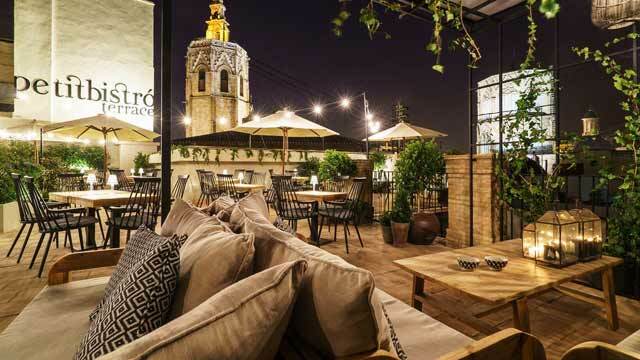 Here you'll find the best Valencia rooftop bars with all info you need about each rooftop. Opening hours, dress code, pictures, maps and much more. 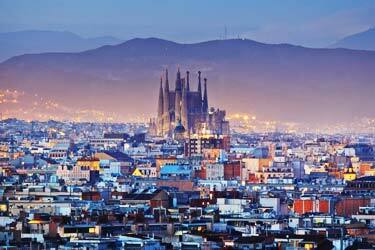 Spains third largest city is beautifully located on the east cost, right next to the Mediterranean Sea. And the best views from the roof terraces are out over the ocean. 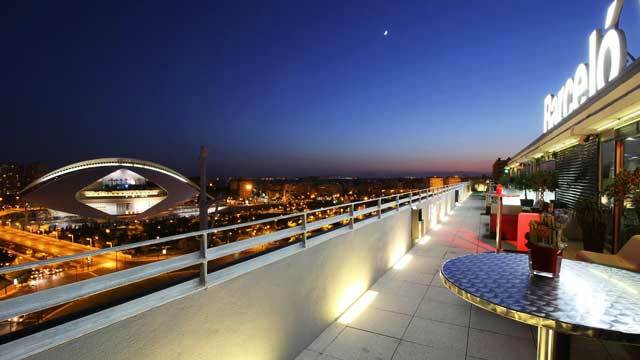 So, which is the best rooftop bar in Valencia? 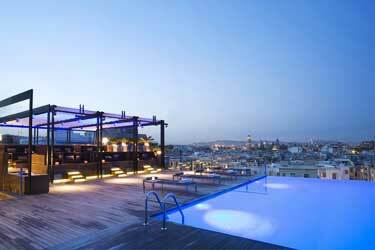 Just scroll down and find the Valencia rooftop bar best suited for you. Or use the Valencia rooftop map in the bottom right corner. Located right by Plaza del Ayuntamiento, Ateneo offers a fantastic views of of the City Hall and main Plaza. 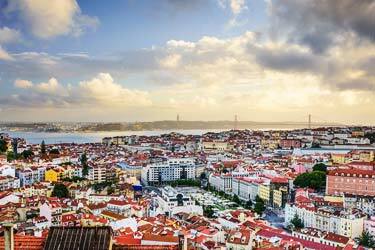 Working both as a rooftop bar, restaurant and as a viewing point, there is a €3 charge to go up, so that is the prize to just catch the view. But if you buy something from the bar, part of the entrance fee will be deducted from the bill. And of course you should get something from the rooftop bar. They offer well-crafted cocktails, along with the (obvious) sangria and ice-cold beer. 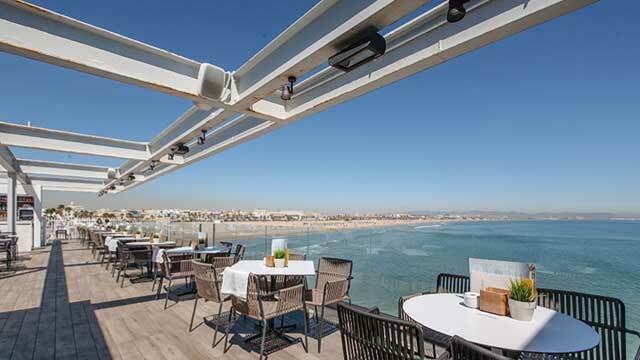 Not the highest rooftop bar in Valencia, but the beautiful ocean views you get from here, over the Mediterranean Sea and the Playa del Cabanyal, are quite breathtaking. The al fresco terrace is a perfect spot for sunny hours with a view, and during winters you can enjoy the same vistas but from inside the panoramic glass walls. The restaurant serves tasty and local produced Mediterranean food, while the outdoor bar offers local and international wines, classic cocktails, champagne and cold beer. Perched on top of Barceló Valencia, the 270º Terrace and rooftop bar is namned after the L-shaped form of the terrace and the fantastic 270-degree view it offers. Both over the close by Turia Park and City of Arts and Sciences, but also stretching panoramics over the city skyline. Open daily and nightly when the weather allows, the roof bar serves premium drinks, cocktails, cavas and champagnes, all to chill out music in a very relaxing atmosphere. 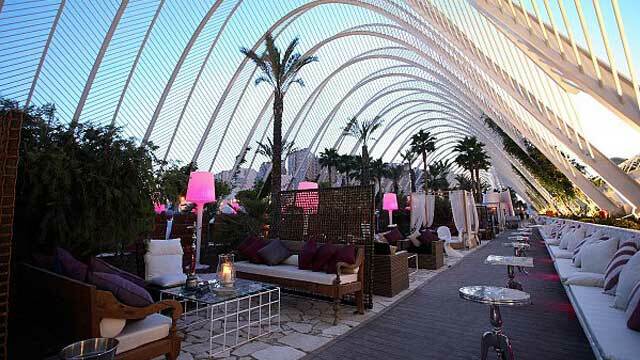 L'Umbracle is a beautiful landscaped walkway and vantage point during daytime, but alos home of L'Umbracle Terraza, one of the hottest party spots in Valencia. Located above the year-round night club Mya, this is not your sky-high rooftop bar with panoramic views, but instead a summer destination for fantastic al-fresco vibes. Enjoy live DJs, great and vibrant vibes and refreshments from two diffrents bars, serving nice cocktails to the trendy and party hungry guests. Le Petit Bistro Terrace used to be a local favorite among the rooftop bars located in Valencia. Now a days it is however only open to guests staying at the Cathedral Suites Hotel. Very cozy, feeling like a roof garden with a large garden pergola and lots of natural elements, this is a great spot to enjoy al fresco breakfast, cocktails or a romantic dinner. Guests can also enjoy the lovely rooftop pool, perfect for a hot Valencia day. Discover the biggest collection of Valencia activities, guided tours and skip-the-line tickets. Anything you want you'll find right here. 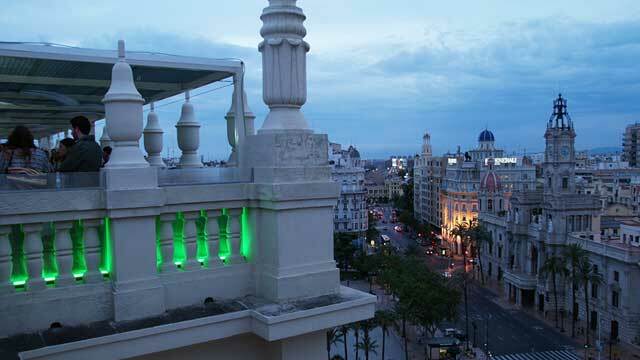 Which are the best rooftops in Valencia? This complete guide will help you find the best rooftop bars in Valencia. At the moment, Valencia doesn't have that many rooftop bars. Quite surprising given that the climate is about as good as it gets in Europe for roof terraces. 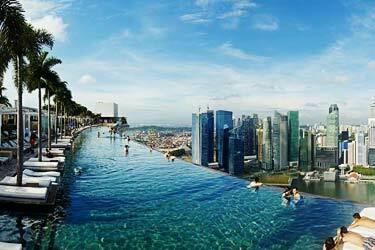 But, it is a city gaining in tourism and popularity, so this might change very soon. 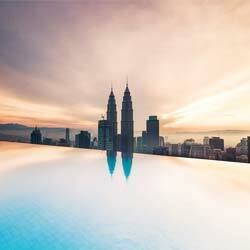 The best rooftop bars that are avalable mostly bost with lovely ocean views. Not from the highest altitudes, but still very charming. 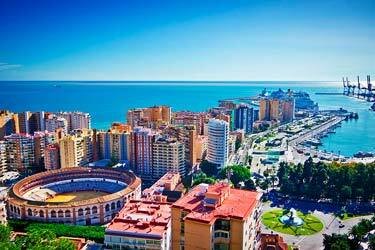 Valencia is Spains third largest city, with a busy port and alot of history. The winters are short and mild, while the summers are long and hot. 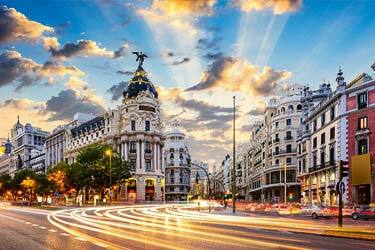 The city is known as the birth place of the very famous Spanish dish paella. It is also the home town of two football clubs in the highest league, Levante and the more famous Valencia FC.